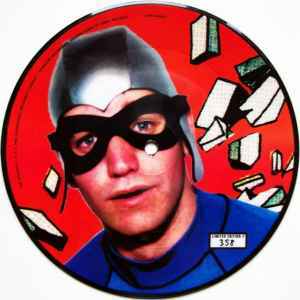 Manufactured By – Erika Records, Inc.
Fourth in a cancelled series of numbered seven-inch picture discs, one for each member of The Aquabats! (each disc had a picture of a different band member on the A side). At least four out of the nine planned discs were released and at least six were available for order before the series cancellation.